A garage door installation may be a necessary improvement for your home in Austin, Texas, especially if your old, outdated door is unsightly, causes energy efficiency issues in your garage, or is downright dangerous to operate. Whatever problems your old garage door poses, 31-W Insulation can help. We’ve been installing garage doors and performing many other home improvement projects for customers since 1972, so you can trust our experienced technicians to get the job done quickly and well, with special attention to your exact needs and design preferences. Curb appeal – Choose from many different garage door styles, window options, and decorative hardware pieces to enhance the beauty of your house. Safety – The Amarr® Safe Guard System has features that help prevent finger pinches and accidental tampering to keep you and your family safe while the door is in use. 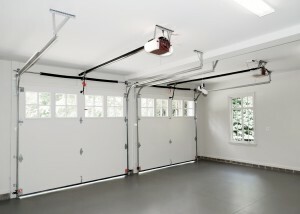 Energy efficiency – With a thermal seal between door sections, a weather seal along the floor, varying degrees of insulation to choose from, and other features that protect against heat transfer, your garage door can help significantly reduce the strain on your HVAC system, potentially lowering your energy bill and carbon footprint. What’s more, our doors are backed by some of the best warranties in the business, so you can rest assured that when we perform your garage door installation, your investment will be protected. To learn more about how we can help improve your Austin, Texas, home with our garage door installation services, contact 31-W Insulation today for a free in-home estimate.